Epson first introduced the L-Series printer way back in 2011 and over the years, L-Series has gone through multiple iterations. The series promises lower cost per page, thus making it economically viable for home users as well as small businesses. Today, we are taking a look at L850, which is Epson’s one of the top-tier models in the L Series portfolio. 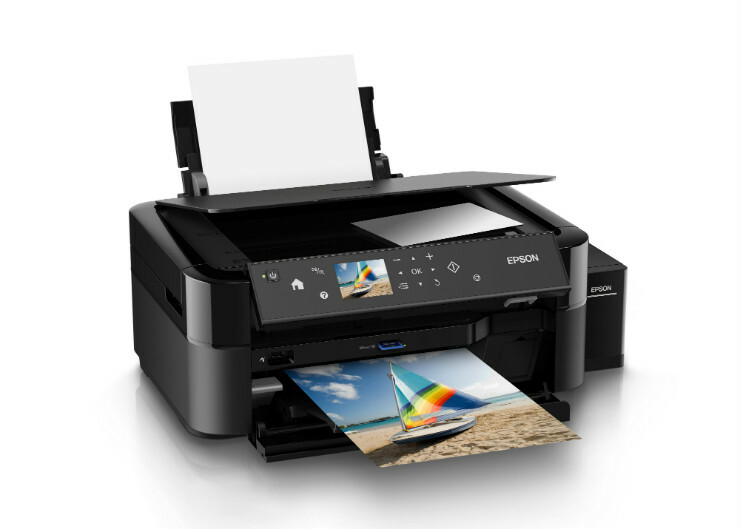 The L850 seems like a fusion of Epson’s Stylus range of printers and L Series for economy printing. The L850 cannot be termed as a compact printer but it’s not oversized as well. The printer weighs close to around 10kg but with the added weight and the size, the L850 performs variety of functions like scanner and copier, in addition to a printer. The device features a 2.7-inch LCD display on the front and though we would have preferred it to be touch-enabled, the things that are touch-sensitive are the menu buttons flanking the display. The ink tank system is placed on the side of the printer whereas the scanner/copier glass is placed on the top. Moving on to performance, the L850 is no slouch. The printer is equipped with Epson’s Micro Piezo technology that supports a resolution of 5760 dpi and comes with six 70ml ink tanks that boasts a yield of up to 3000 pages for black or up to 1800 photos (composite yield). According to Epson, the cost of printing one page on the L850 is about 12 paise for B&W and 25 paise for colour and though the actual mileage may vary according to the user, we feel it’s one of the lowest in the industry. Each bottle of ink costs about Rs. 640. It can print up to 38 pages per minute for colour or 37 pages for monochrome under A4 draft settings or about 27 seconds for a borderless photo under default settings. Other L850 features include printing directly on the printable surface of the CD/DVD, scanner and copier support, PictBridge that allows printing of pictures from a supported camera or insert a USB drive or an SD card for a PC-less printing experience. Summing it up, the L850 delivers on the promised features and most importantly, at an affordable cost. However, one thing we felt missing was the inclusion of network support. The Epson L850 retails in India for Rs. 26,999.